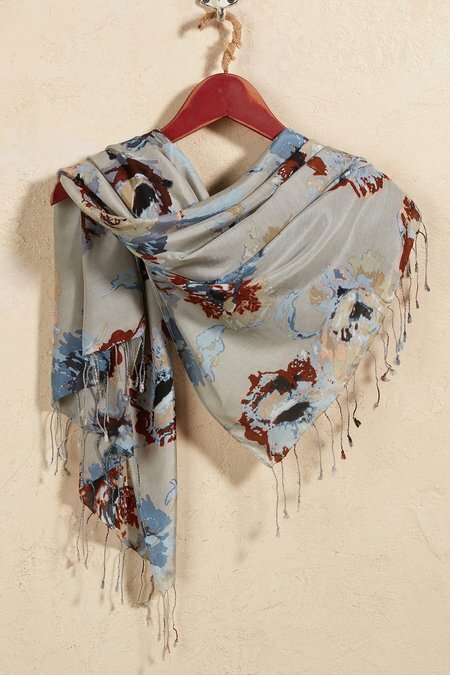 Reminiscent of an antique piano shawl, scattered painterly flowers bring an appealing vintage vibe to this soft and drapey rayon scarf. Long knotted fringe at each end continues the classical note. Generously sized for creative styling. Viscose.